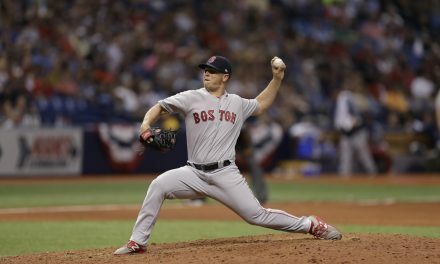 Should Steven Wright Be on World Series Roster? 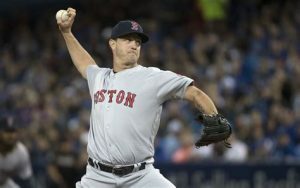 Knuckleballer Steven Wright has said he believes he is healthy enough to pitch in the World Series. Wright was initially on the ALDS roster but was removed after complaining about renewed soreness in his knee. This left Wright ineligible for the ALCS roster as he was replaced for both series by Heath Hembree. Assuming Wright’s simulated game Sunday went well, what should the Red Sox do for the World Series? Steven Wright has been a very effective pitcher for the Red Sox, both as a starter and as a reliever. Wright was an all-star back in 2016 but has missed much of the past two seasons. Wright has a troublesome knee which keeps barking and sending him back to the disabled list. 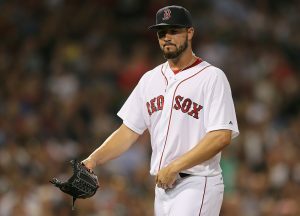 After a DL stint earlier in the season, the Sox moved Wright to the bullpen where he enjoyed great success. 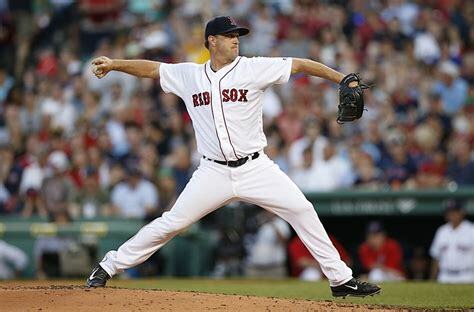 In 16 games as a relief pitcher this year Steven Wright was 2-0 with a 1.52 ERA and one save. Some of that work came early in the year however, before he began starting in June. When Steven Wright returned to the Red Sox in September he allowed just one run over 13.2 innings pitched. Wright was even used in high-leverage spots, picking up a win, three holds and a save over the final month. Bringing a knuckleballer in out of the pen following a conventional pitcher can be highly effective. After seeing a healthy dose of fastballs and curves, seeing a slow knuckleball all of a sudden can really mess with a hitters timing. Then, once Wright was removed from the game again for a new reliever, one likely throwing in the upper-90’s, imagine how that would mess with the batters. There’s a reason he has had success. 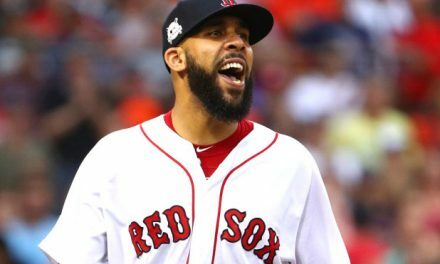 The other pro Steven Wright would offer out of the pen is giving the Red Sox another relief pitcher who could eat innings if needed. If the starting pitcher were knocked out of the game Wright could pitch for several innings. If the game went extra innings, Wright could essentially pitch for as long as the team needed him to. The first con would have to be the health of Wright’s knee. As stated before, Wright was put on the ALDS roster only to be removed after the first game due to the discomfort in his knee. What if Wright’s knee acted up again? This really should not be a reason to keep Wright off the World Series roster. The team has other pitchers traveling with them; if Wright’s knee acted up again they could just replace him on the roster like they did in the ALDS. The only other con I can see would be timing. Just like Wright’s knuckleball can mess with a hitters timing after seeing a healthy dose of fastballs, maybe it could do the same to the catcher trying to catch his knuckleball. But again, Wright has put up some impressive numbers out of the pen already down the stretch this season and can be a real weapon to have out of the bullpen. I am definitely a proponent of adding Steve Wright to the roster for the World Series. His ability to pitch multiple innings if need be as well as his knuckleball messing with opponents’ timing is too much of a weapon to pass up. The team should replace Brandon Workman on the roster with Wright. Although Workman was effective this year at 6-1 with a 3.27 ERA, he has not been the same pitcher of late. Workman allowed five runs over his final 2.2 innings this season. Small sample size, yes, but it has continued into the postseason. Workman has an ERA of 45.00 since the playoffs began. He has pitched three times, getting just one out in all three outings. He put on three baserunners in his first outing and allowed a run. His next outing he managed to get the one out without allowing a run, but did put two men on base. His outing in the ALCS was the worst yet, giving up four runs on three hits, two walks and two home runs. Workman can not be trusted in any meaningful role at the moment. Workman has an ERA of 45.00 this postseason. The other roster move I would consider would be to add Bobby Poyner to the team. Poyner would give the Red Sox another lefty out of the pen, as currently all they have out there is usual starter Eduardo Rodriguez. Rodriguez isn’t exactly someone who would come in to face a lefty in a tight spot. With the Dodgers having Cody Bellinger and Joc Pederson, not to mention the fact Yasiel Puig struggles mightily versus lefties, and it might be a good idea to have someone throwing from the left side out there. Poyner proved his worth when on the team this season, pitching to a 3.22 ERA, 1.12 WHIP and over a strike out per inning. Lefties batted a measly .143 against the rookie left-hander with only one walk and one extra-base hit. He could come in handy against the Dodgers. Heath Hembree would be the other pitcher to go if the Sox were to add both Wright and Poyner. Hembree has pitched 3.2 shutout innings in the postseason, albeit in lower leverage spots. He also walked four guys over those innings, so he hasn’t been entirely sharp. This comes on the heels of a 4.20 ERA and 1.33 WHIP during the regular season. The only other option would be Eduardo Rodriguez, who has an ERA over 9.00 this postseason. Rodriguez has more value in his ability to pitch several innings if need be though, so I would keep him on the roster.